You know you have cluster headaches. It may have taken months or years, but you finally have an official diagnosis. Hopefully, your neurologist or headache specialist already wrote you a prescription for oxygen, but even so, they likely failed to mention it’s not as simple as breathing in air. You need a special mask, a high liter flow, at least one big tank, and several small tanks. One of the best resources for correct oxygen use to abort cluster headaches is found at Clusterbusters.org, but an extensive study by Dr. Todd Rozen published in Headache 2010 is an eye-opening resource for how difficult it is for patients to get a prescription, find the right supplies, and use it correctly. Direct them to well-respected resources of information. A 2009 study by Drs. Goadsby, Cohen, and Burns found that 78% of patients using inhaled high-flow oxygen were able to abort 71%-85% out of 150 attacks. In comparison, just 20% of patients using room air responded, and even then, it worked for only 14%-26% of attacks. The study concluded that there’s a significant difference between high-flow and room air when it comes to treating cluster headaches with oxygen. That’s only one study of dozens. The troubling thing is that Medicaid and Medicare still don’t think there’s enough evidence, which is another reason why we go to Headache on the Hill each year. Encourage your physician to dig deeper and learn more about this mystery condition nicknamed “Suicide Headaches.” There’s a reason why oxygen works, but we haven’t found it yet, nor do we know what causes cluster headaches. But, we do know that it has to be 100% oxygen at the very least 12lpm. Some patients have found relief with up to 40lpm. However, your physician will probably worry about “oxygen toxicity,” but unless you have a pre-existing lung disease or issue, you will be fine using it for 15-20 minutes at a time. Come prepared to explain what the prescription needs to say in order to get the right tank set up. This means your oxygen script should say you need at least 12-15 liters per minute (lpm) “as needed for cluster headaches.” That phrasing will help you overcome some of the trouble you’ll undoubtedly face at the oxygen supply company and your insurance. Find a new doctor. If you’ve tried and tried to make your physician see the facts, it’s time to move onto a neurologist or headache specialist who knows how to treat cluster headaches. The flow rate for your oxygen regulator is another part of the process where you will most likely face opposition. To avoid this, I suggest buying your own regulators (which can go up to 25lpm or higher) on Amazon. When you go through the oxygen company, you pay a rental fee for the regulators, and you will have to fight tooth and nail for them to give it to you. The two main regulators you will need are for the E Tank, which is about 2-feet tall and often seen being wheeled around, and the M Tank, which is about 3.5 feet tall and sometimes called a J tank. 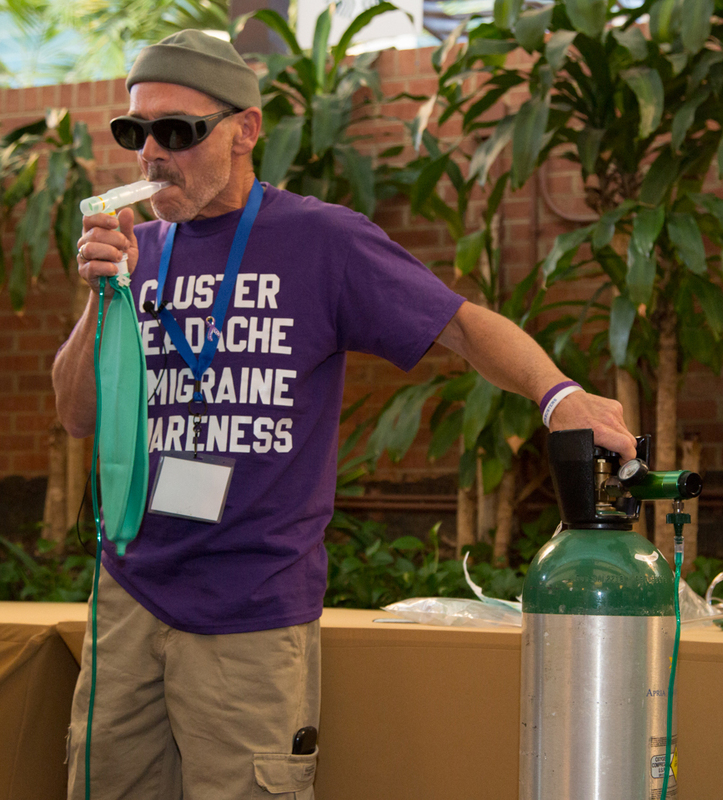 Some cluster headache patients use a demand valve that ensures a consistent flow or a bubbler system to help with the dry mouth. This is where the metaphorical headache really sets in. Depending on where you live, you will either have one choice or several. 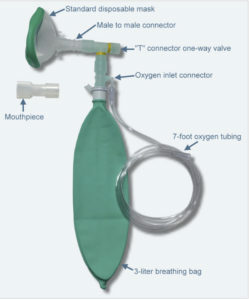 You can ask your neurologist for a recommendation or go to www.homeoxygencompanies.com to find the company nearest you. I recommend avoiding Apria Healthcare for oxygen. They’re notoriously horrible to cluster headache patients, and you will not find compassion from their employees. As you weigh your options, compare the prices. Some require a monthly payment; others make you pay per tank—Remember that your insurance company will most likely not cover the cost. Once you’ve picked the company, you’ll have to scan/fax a copy of your prescription or bring it in person. Then, you can set up automatic deliveries or pick them up yourself each time. Keep in mind that you can go through several tanks a week, depending on the number of attacks, chosen liter flow, and size of the tanks. Now that you have your regulator and tanks, you need to have the right mask. The oxygen company probably gave you a nasal cannula (the one with prongs that wraps around your ears and sits inside your nostrils), which won’t work. You need a nonrebreather mask, which means the mask they may have given you won’t work either because it has holes on either side of the nose. You can either tape over those holes, or buy the mask that’s specifically designed for cluster headache patients, the ClusterO2Kit™. I mentioned E tanks above. They’re the oxygen tanks you see people wheeling around with them to the grocery store. If you’re using 15lpm, an E tank will only last you 35 minutes, which is probably enough for two attacks. These tanks should be saved for when you’re away from home. You can keep one at work, in your car, etc. The M tanks are the ones you really want. They’re hefty and last much longer. All in all, you should have several E tanks on hand for emergency situations, and two or more M tanks at home so you don’t run out during a bad bout of attacks such as an episodic cycle or “high cycle” for chronics. You can choose to get smaller tanks that fit in a backpack, but they will only last for one attack if that. If the oxygen company delivers the tanks to you, make sure they show you how to set it up. You’ll need a special wrench for the M tank regulator and a separate one for the E tank. Now you have everything you need and can start aborting attacks with high-flow oxygen. This abortive treatment has little to no adverse side effects, can be used any number of times a day, and works for approximately 80%-90% of patients. Your breathing technique is the most important aspect of using oxygen to abort a cluster headache attack. It’s not as simple as breathing. There are two techniques, and the first seems to be the most widely used. Aborting Cluster Attack with Hyperventilation Technique: Begin by exhaling completely to the point where you hear yourself wheeze. Take quick, short breaths in until your lungs are full and do a complete exhale again. Repeat this until the attack has passed, but no longer than 15 minutes at a time. If the attack persists, take a ten-minute break and try it again. You should have around 24-30 breath cycles each minute using this option, and you’re supposed to feel lightheaded once it’s done. Aborting Cluster Attack with Nasal Inhalation: Personally, I’ve never used this technique, but it involves breathing in through your nose (but still using the nonrebreather mask) and out through the mouth with a complete inhale and exhale. Some research suggests that you can prolong the length of time between attacks by switching to the nasal cannula for 20 minutes after aborting the attack. In which case, you can lower it to 5lpm, use the prongs, and breath normally again. You can also do this for 20 minutes before bed to possibly prevent a nighttime cluster headache. The information in this blog is the tip of the iceberg when it comes to cluster headaches and oxygen therapy. There’s so much more to know, and if your doctor refuses to learn with you, I highly recommend finding another one. The road to diagnosis is just the first battle, and unfortunately, there’s a lot of misinformation online about cluster headache treatment. Please, scroll past any article that says “natural remedies” or “cure” for cluster headaches. The best information out there can be found on Clusterbusters.org and clusterheadaches.com, but there are also fantastic Facebook groups (“Cluster Headaches”) with seasoned clusterheads who can answer your questions based on experience. 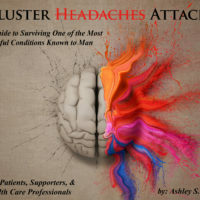 Learn more about cluster headaches and treatment options in my book Cluster Headaches: A Guide to Surviving One of the Most Painful Conditions Known to Man, which can be found on Amazon and www.ashleyhattle.com. 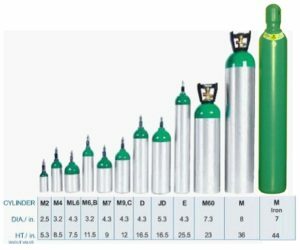 Update: The demand valve is considered by some to be the best oxygen delivery method because it delivers the oxygen at the flow rate you choose without wasting precious oxygen. You don’t need a bag for this method because the valve shuts off when you exhale. Also, an E tank lasts 3-4 attacks, which is why several on hand is recommended. — Thank you, David Nickerson. Thanks for the info. I had been wondering why my 02 wasn’t working to help with my CH,. Now I know ow I need a new mask and a M tank. Do the images load for you now? They’re large pictures mostly. Would you let me know which page/images you had trouble with? I actually wanted to write down a brief comment in order to express gratitude to you for some of the fantastic solutions you are giving out at this website. My time intensive internet research has at the end been recognized with awesome facts to talk about with my neighbours. I ‘d tell you that most of us visitors actually are quite fortunate to live in a great community with many brilliant people with very helpful principles. I feel quite happy to have used the web site and look forward to plenty of more cool minutes reading here. Thank you once again for a lot of things. My doctor won’t write me a script. Is a script absolutely needed? Yes, you need a script for it. Is your doctor a family physician or a neurologist? What state/country are you in? I can give you a few names/places to go to. If your doctor won’t write you a script, you need to find a new doctor or bring in the ample research supporting its efficacy. One look at the American Headache Society’s Treatment Guidelines should get your doctor to write the script for 12-15 LPM through a nonrebreather mask. Although, I recommend buying your own regulator and mask using the links in the blog. (I’m sorry you’re going through this. A lot of us have been there. Please keep me posted). Aetna covers the treatment in the US. Do you know of primary care physicians or neurologists in Massachusetts who will prescribe oxygen therapy? Primary referred to Neurologist. Neurologist prescribed oral Sumatriptan and said oxygen was a more of a nuisance. Frustrating! Any suggestions appreciated. My husband has been suffering for far too long. I’m so sorry for the late reply! I don’t get email notifications for comments. The BEST neurologist in the country for cluster headaches is in Boston. Dr. Brian McGeeney knows exactly how to treat CH and speaks at the Clusterbusters conference every year, among other gatherings to help educate patients and doctors. He’s the one you want. I simply want to tell you that I am newbie to blogging and site-building and truly enjoyed this web-site. More than likely I’m going to bookmark your blog post . You actually come with incredible articles. Thanks a lot for revealing your web-site. I do consider all the ideas you have presented for your post. They’re really convincing and will certainly work. Nonetheless, the posts are very short for beginners. May just you please lengthen them a bit from next time? Thanks for the post. Pretty great post. I simply stumbled upon your weblog and wanted to mention that I’ve truly loved browsing your blog posts. In any case I’ll be subscribing for your rss feed and I’m hoping you write again soon! I’d have to check with you here. Which is not something I often do! I enjoy reading a publish that will make people think. Also, thanks for permitting me to remark! I would appreciate it if you did not take part of my blog for your own website. HOWEVER, if you would like to quote me using a sentence or paragraph and link back to my site, that would work. Please send me a link if you do so.